Leaf: The feathery leaves look like delicate green lace. Leaf: The leaves can be harvested from early Spring through the Fall. Seeds: Harvest seeds when they are fully ripe and then dried. Fennel likes to grow in waste lands, poor chalky and sandy soils suit it fine. Fennel can become quite invasive so be sure to plant it in a corner where you don’t mind it takes over. Leaves: As an herb, fennel leaves are used in French and Italian cookery, most commonly in sauces for fish, stuffings, and in mayonnaises. Its delicate anise flavor is valued for sausages, salads, breads and pastas. Fennel has a special affinity with fish and the dried stalks can be used as a bed for grilled fish or the seeds scattered sparingly on to bass, red mullet or sardines while barbecuing. It also adds a subtle flavor to creamed fish soup. Fennel is a popular flavoring with pork in Italy. Stir the chopped leaves into hot tomato soup to heighten its flavor; add them to meat loaves and polenta. Sprinkle them over salads or into marinades. Chopped fresh fennel does wonders for white bean salad. Fresh fennel leaves can be frozen for up to two months, packed in small bunches in plastic bags. Use them as you would fresh. 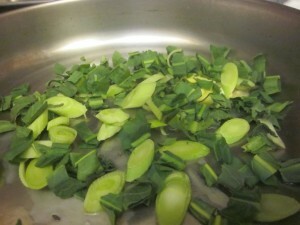 Stems: Treat the hollow stalks as you would celery in cooking. Eat them raw or simmer the stalks in water or chicken stock as a vegetable to be served with butter. They can also be sautéed in garlic and olive oil. Add them to soups or stews. 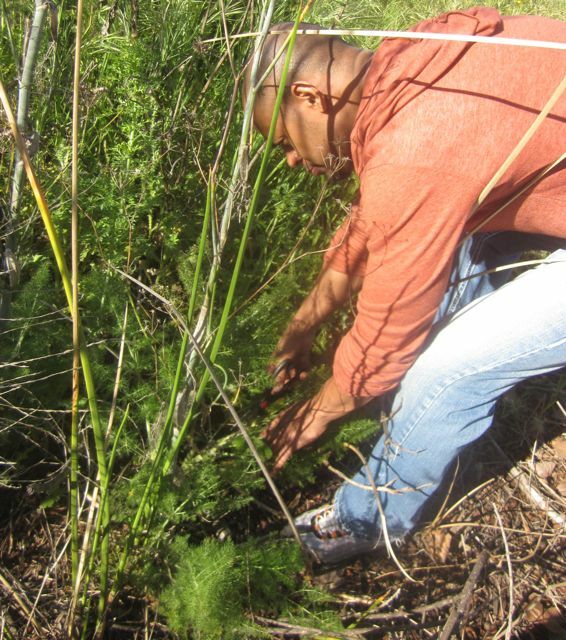 Let children use a fresh fennel stalk as a straw for sipping orange juice. Chop the stalks in a food processor and toss in the pot for last 15 minutes of cooking. The softened stalks will thicken the consistency without adding fat. pickling spice and of certain curry powders, especially those of Sri Lanka. In India it is an ingredient of mukhwas, a ‘chew’ to aid digestion and sweeten the breath. Spicy Italian sausages, both sweet and sharp, contain the seed. It can be used in meat loaves, in pickled shrimps and with mushrooms. It Italy it is used to impart a special flavor to dried figs. Several alcoholic drinks are flavored with fennel such as gin, aquavit and formerly, absinthe. A fennel tea – one teaspoon seeds to half pint of water infused—is a warming and refreshing drink. Roots: The root can be thinly sliced and simmered in chicken stock until tender for a simple fennel soup, adding salt and freshly ground black pepper, to taste. Flowers: The clusters of lovely yellow flowers in late Summer and early Fall are beautiful as a garnish. Fennel Pollen: Wild Fennel Pollen comes from Fennel flowers picked at full bloom. The plants are then dried and the pollen sifted out, yielding an exquisite spice that has the aroma of fennel, but is sweeter and far more intense in flavor than the other parts of the plant. All of the above is translated better with this paragraph I found on the web:. Fennel ROCKS! Fennels effects have a warming, respiring and loosening nature. It warms and stimulates the digestive organs, especially when they become sluggish. This relieves gas and headaches that are related to improper digestion. An excellent stomach and intestinal remedy for treating flatulence and colic conditions, while also stimulating healthy appetite and digestion. 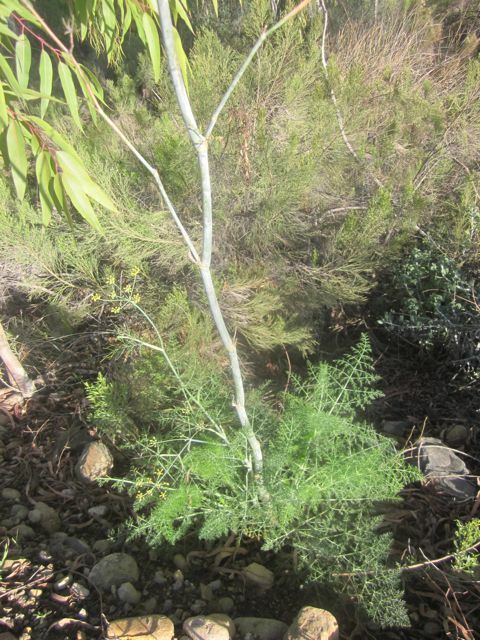 Fennel frees the respiratory system, rendering a calming antispasmodic effect on coughs and bronchitis. It gives a delicious flavor and aromatic lift to herbal blends and cough syrups. Helpful for cancer patients after radiation and chemotherapy. To help with indigestion and gas, pour boiling water over crushed fennel seeds (1 tsp seed to a pt of water). The seeds are simmered in syrups for coughs, shortness of breath, and wheezing. The leaves and seeds when boiled with barley increase breast milk. The seeds and root help clean the liver, spleen, gallbladder, and blood. The tea and broth of this herb are said to help in weight loss programs. Fennel oil mixed with honey can be taken for coughs, and the tea is used as a gargle. The oil is eaten with honey to allay gas and it is applied externally to rheumatic swellings. The seeds are boiled to make an eye wash for inflamed and swollen eyes. Use an infusion of the seeds as a gargle for gum disorders, loose teeth, laryngitis or sore throats. 2. The leaves are awesome for deep cleansing the pores with a face pack or facial steam treatment. 3. Infuse the leaves to make an herbal hair rinse. 4. Make eye lotion: place 1 oz of seed in a pan, cover with a pint of water and simmer for 20 minutes over low. train and cool; pour into bottles, In an eye bath or appplied to the eyes with cotton balls, this win fusion will take away inflammation and give the eyse sparkle. 5. Russian scientists recently discvoered that one serving of Fennel a day can soothe even chronic cases of belly cramps, bloat and indigestion by 65% in just one week. 8. Use a strong Fennel tea as a gargle for gum disorders, loose teeth, laryngitis or sore throats. 9. Fennel increases the libido of both male and female rats. 10. Fennel has compounds that act like female hormone estrogen and has been usd for centuries to promote milk fow in nursing women. 11. Powdered Fennel seeds repels fleas from pets’ sleeping quarters. Bring cream and Fennel seeds just to a simmer in a small heavy saucepan, then cover and let steep about 30 minutes. Meanwhile, bring milk, 1/2 cup sugar, and a pinch of salt to a simmer in a heavy medium saucepan over medium heat, stirring. Whisk together yolks and remaining 1/4 cup sugar in a large bowl, then add milk mixture in a slow stream, whisking. Return mixture to medium saucepan and cook, stirring with a wooden spoon, until mixture coats back of spoon and registers 175°F on an instant-read thermometer (do not let boil). Immediately strain custard through a fine-mesh sieve into a metal bowl, then quick-chill by setting bowl in an ice bath and stirring occasionally until cool, about 15 minutes. Strain Fennel cream through fine-mesh sieve into custard, pressing on solids. Continue to chill in ice bath until custard is very cold, then freeze in ice cream maker. Transfer to an airtight container and put in freezer to harden, about 1 hour. Peel and cut 1 orange into rounds; zest and juice remaining orange. Arrange lettuce on serving platter. Top with orange rounds, the red onion and fennel. Whisk dressing ingredients together until blended and drizzle over salad. Cut Fennel bulbs in half lengthwise. Trim green feathery leaves and reserve them for garnish. Thinly slice Fennel and put in serving bowl. Add apple slices, cheese cubes and nuts.